The following books have been published after the Forum’s regular conferences in Bamberg 2007, Åbo 2009, Chester 2011, Sigtuna 2013 and Munich 2015. Will the Anthropocene have good or bad ethical outcomes? Does the Anthropocene idea challenge the possibility of a sacred Nature, which shores up many religious approaches to environmental ethics? Or is the Anthropocene a secularized theological anthropology more properly dealt with through traditional concepts from Catholic social teaching on human ecology? Do theological traditions, such as Christology, reinforce negative aspects of the Anthropocene? 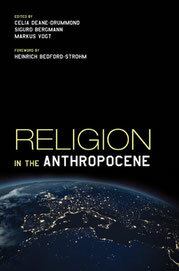 "Religion in the Anthropocene marks the first thorough treatment of religious and quasi-religious dimensions of the Anthropocene from perspectives as diverse as philosophy, theology, anthropology, and history, among others. This impressive collection of international scholarly voices aims not at consensus or easy answers, but fully explores the Anthropocene's profoundly ambivalent implications for humanity's place in nature and deep time, and our responsibilities for nonhuman others. Readers new to the topic, as well as scholars in the field, will come away with fresh--and sometimes disconcerting - insights into what it means to be human in the Age of Humans." 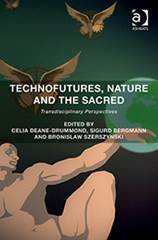 Moving from a critical consideration of theories, to narratives about technology, and then to particular and specific practices, Technofutures, Nature and the Sacred seeks to arrive at a genuinely transdisciplinary perspective focusing attention on the intersection between technology, religion and society and using insights from the environmental humanities. 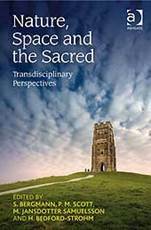 It works from both theoretical and practical contexts by using newly emerging case studies, including geo-engineering and soil carbon technologies, and breaks open new ground by engaging theological, scientific, philosophical and cultural aspects of the technology/religion/nature nexus. Encouraging us to reflect on the significance and place of religious beliefs in dealing with new technologies, and engaging critical theory common in sociological, political and literary discourses, the authors explore the implicit religious claims embedded in technology. 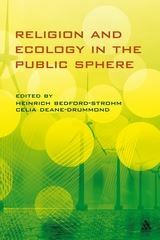 A collection of essays from top scholars in the field of Religion and Ecology that stimulates the debate about the religious contribution to ecological debate.